Posted on April 1, 2019 by landcraftersIM wrote in General, Lawn, Soil, and Plants, residential landscaping, Tips. You can hear it in the breeze, smell it in the rainstorms, and see it in every fresh bloom on the corner as you walk by—spring is on its way. Soon, the mildly cold Florida winter days will be gone and spring will be in full swing. As a Florida resident with a passion for their own landscape, you know what that means. Spring planting is just around the corner. You’re about to spend your weekends on your hands and knees, plucking weeds, hedging shrubs, and planting all the glorious annuals and blooms that you’ve been waiting all winter long to plant. Sure, we don’t have to truly endure a bitterly cold winter with snow and ice in Florida (what are those things, anyway? ), but there are some blooms out there that do really do their best in the spring and summer and waiting for winter to pass by when you’re excited about spring blooms can definitely make it feel endless. Spring is literally nature saying, hey—the soil is warming up, let’s get to planting! But, if you, like us, are way too excited about all the planting potential in the next few months and are a little overwhelmed by what you should plant, fear not. We understand and we’ve got you covered. We’ve laid out a carefully curated selection of the best annuals and shrubs that we think should make an appearance in your landscape this spring! These plants have been hand-picked by us with both springtime spirit and Florida durability in mind. 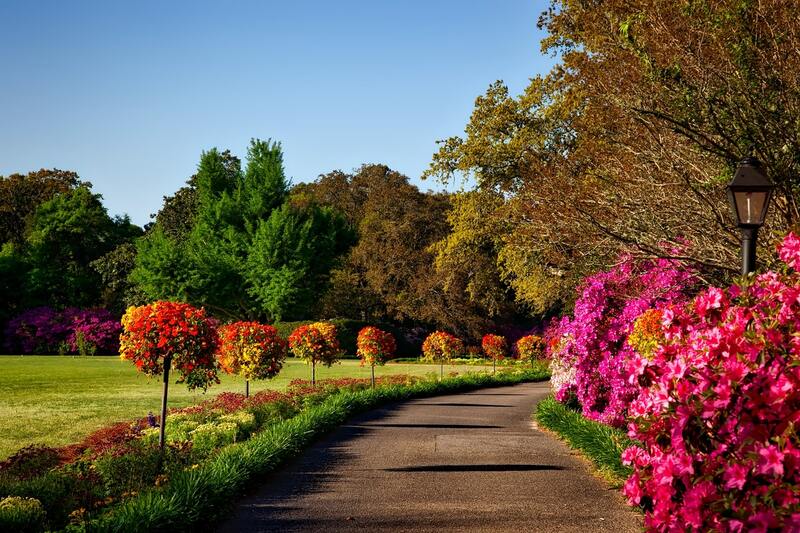 Check out some of our tried and true springtime faves for residential Florida landscapes! We want to start this out with shrubs because we’re here to bust the myth that they’re not exciting additions to any and every landscape. Sure, we get it—the actual word “shrub” doesn’t really illicit a springtime celebration, but we’ll have you know that there are so many colorful, vibrant, and beautiful Florida shrubs out there that will do more than just provide you with an excuse to bust out hedge clippers. Shrubs are a great add-on for any landscape—they’re excellent for lining a walkway, look beautiful under low windows, add extra flavor to Florida patios, and are the perfect backdrop for springtime annuals (which—surprise!—we’ll totally get to in a moment). 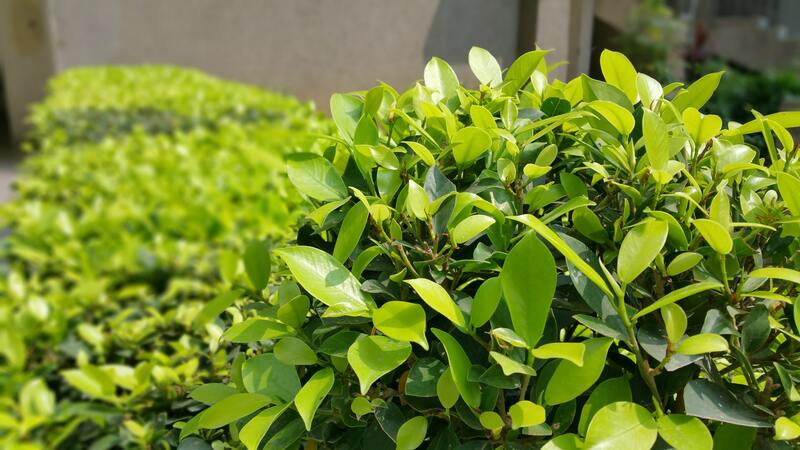 Whether you’re looking for a little flair of fashion or just want some spring shrubs for function, we’ve laid out three of our favorites that you have to include in your Florida landscape this season. You want some sound landscape advice from us? Never trust a person who doesn’t love a good Azalea shrub. Why? Because azaleas are stellar little shrubs that add a pop of glorious color to your landscape, are super easy to care for, and require the smallest doses of TLC to bloom to their full potential. The compact dwarf azaleas will grow to a max of 3-feet, but other varieties can climb up to about 4-5 feet. These shrubs require regular watering and can grow in either full sun or full shade (they’re not picky). The only little Florida caveat about these bad boys? If you live right on the coast, they might not flourish—they don’t love the heavy alkaline soil. If you’re looking to add some lushness to your landscape this spring, look no further than the Firebush shrub. It has small, hairy, green leaves that bloom gorgeous, tiny red and orange flowers. It adds that pop of gorgeous green to your landscape with a little hint of springtime color! These shrubs grow to about 3-feet tall and 3-feet wide, but they’re quick growers—they prefer to be in full or partial sun, but, if that’s not possible, they’ll also grow moderately well in the shade, too! Crotons are vibrant, bright, and colorful little shrubs that are a glorious addition to spring landscapes. They’re super easy to care for, require basically no maintenance, and have all kinds of fun leaf sizes and types, like swirly, narrow, and flat! Typically, they’re a fun mix of red, orange, yellow, and green—but they also come in a variety of pinks and purples, too! These shrubs are slow growers and typically only get up to about 3-feet tall. 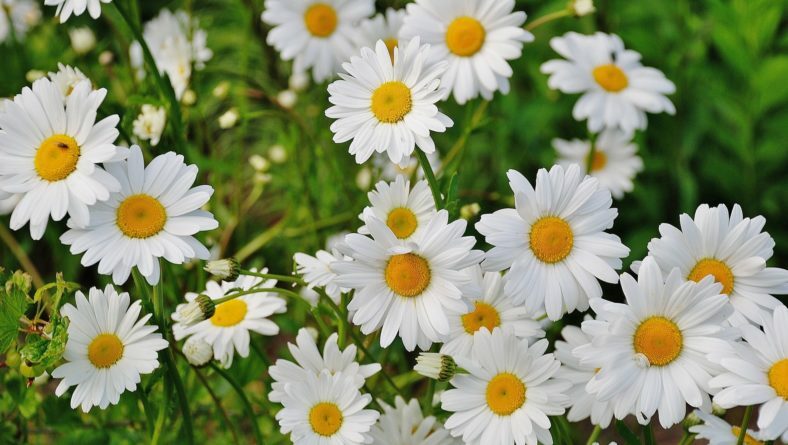 They flourish in just about any light, from full sun to partial shade! Shrubs are great, don’t get us wrong, but nothing really truly defines springtime planting more than some seriously beautiful blooms. The best way to add those in? Pop in some Florida annuals. Annual blooms are perfect for window boxes, lining walkways, as colorful border plants, or filler plants in your new beds. In short, annuals are perfect and you need them in your spring landscape! Here are three annuals that we think would look beautiful in your yard this spring! There are over 1,000 varieties of begonias out there, and most of them will work well in your Florida landscape, but to us, there’s something special about a wax begonia. These are the most popular type of begonia because even though they’re technically annuals, they’ll hold their colors and stick around in a landscape for several years (if treated right). They’re durable, have either bronze or green foliage, and are especially sensitive in the cold, so springtime is the perfect season to plant these! If you’ve never seen a Salvia plant in full bloom, you’re missing out, friends. These beautiful plants (which in a rainbow of colors) have hundreds of annual and perennial species that come in all sorts of sizes and styles. This versatile plant is vibrant, fun, and even helps to attract butterflies, which makes them an amazing garden plant. These blooms perform best in full to partial sun and will thrive with regularly scheduled watering. 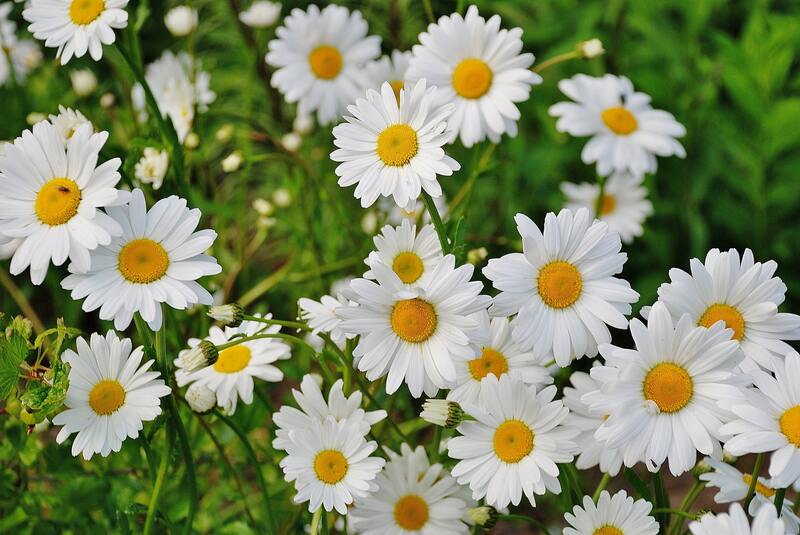 Is there a flower out there that says springtime more than a daisy? Go ahead, think about it. We’ll wait. (The answer? Probably not). Gerbera daisies, commonly called Gerber daisies, aren’t native to Florida (they actually come from South Africa) but they really prosper here. They come in tons of shades and colors, like white, pink, lavender, red, orange, and of course, yellow. Their fuzzy-green stems will grow up to a foot tall and produce flowers for a long time. They prefer a good bit of morning sunshine, regular watering, and little more TLC than your spring shrubs. 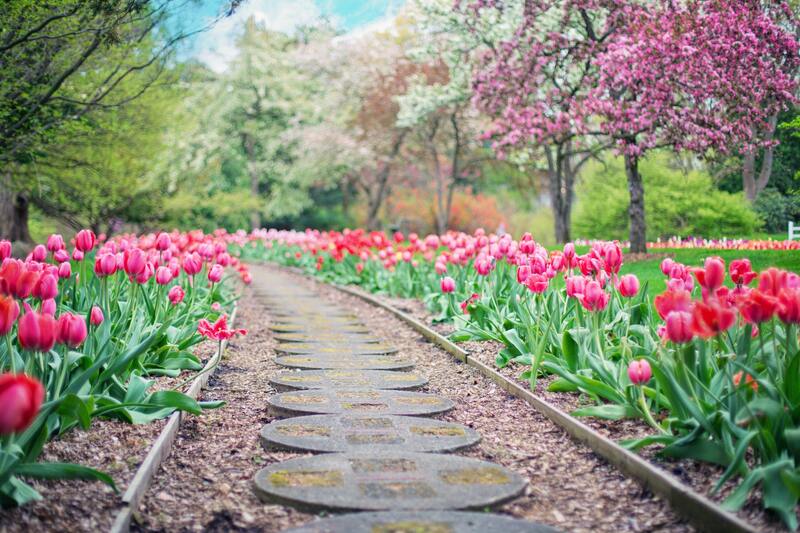 Are you feeling positively sunny about your soon-to-come springtime planting? We hope so! Remember, even though these shrubs and annuals were hand-picked by us, there are so many great Florida-friendly blooms out there that would be perfect for your Springtime landscape! Want to know more? Give us a call at (727)-201-3947 or check out our contact page to send us an inquiry. Interested in more springtime inspo and advice? Keep up with our regularly updated blog for more tips, tricks, and trends!